As global Oilfield companies continue to adopt Arlon® 3000 XT, an advanced thermoplastic engineered for better performance and reliability in harsh environments, Greene, Tweed has released a new case study demonstrating how Arlon 3000 XT can assist customers in optimizing their total cost of ownership. Arlon 3000 XT – How Material and Design Saved Installation Time, shows how Arlon 3000 XT greatly helped one of Greene, Tweed’s customers, a major oilfield services company. Frequent breakage during the installation of the customer’s small back-up rings resulted in a 60-70% scrap rate and significant inventory and production challenges. After replacing their current back-up ring material with a single-material solution, Arlon 3000 XT, the customer reported that their installation scrap rate was reduced to nearly zero. The Arlon 3000 XT microsite is a destination resource for engineers and material scientists who are looking to learn more about Greene, Tweed’s pioneering thermoplastic. Its patented technology has the best high-temperature performance of any polyketone, has similar chemical resistance to PEEK and is perfectly suited for applications in which extrusion is a concern. In 2015, Greene, Tweed announced that Arlon 3000 XT achieved ISO 23936-1 and NORSOK M-710, Rev. 3 compliance. 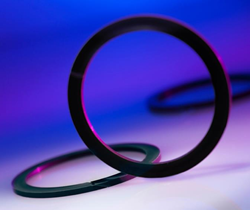 The compliance marks a significant accomplishment for Greene, Tweed and confirms that the material properties of Arlon 3000 XT make it an ideal choice for use in harsh, demanding oil and gas applications which are becoming more common throughout the industry. Greene, Tweed leverages expertise in a variety of markets and products to give customers the most innovative solutions to meet performance challenges and reduce total cost of operation. With fully qualified engineering, sales, and support personnel located throughout the Americas, Europe, and Asia, Greene, Tweed delivers solutions to individual customer applications on a global scope. Greene, Tweed products are sold and distributed worldwide. For additional information, contact Greene, Tweed at +1.215.256.9521 or visit our website at http://www.gtweed.com.